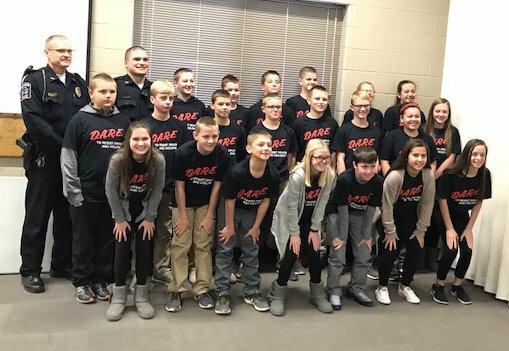 WD Middle School Students Graduate from D.A.R.E. 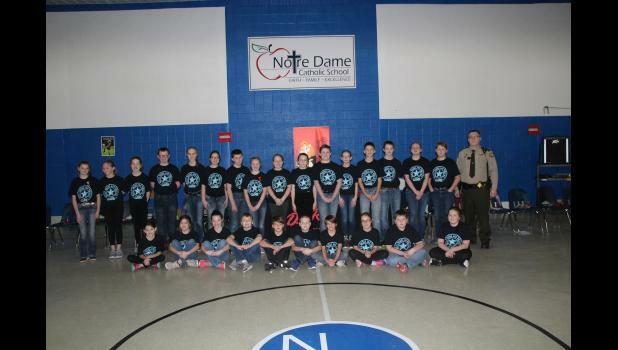 ND Sixth Grade Students Graduate From D.A.R.E. 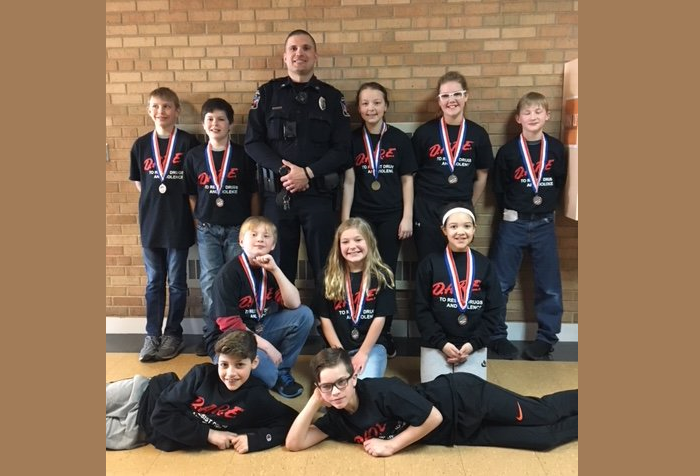 Graduates include: Dominic Bigalk, Samuel Brace, Chyann Bullerman Yu, Elise Church, Lucy Drees, Ava Ferrie, Brayden Henry, Eve Houdek, Kaylee Johnson, Ella Keller, Cody Kerian, Macie Mashek, Aspen Ollendick, Robert Ollendieck, Paige Pecinovsky, Konner Quam, Parker Rice, William Schrage, Kinze Shea, Dylan Shelton, Kyleigh Smith, Gwenyth Sopha, Isaac Tucke-Wenthhold, Joey Vobr, Mason Vrba and Paighton Zemola. 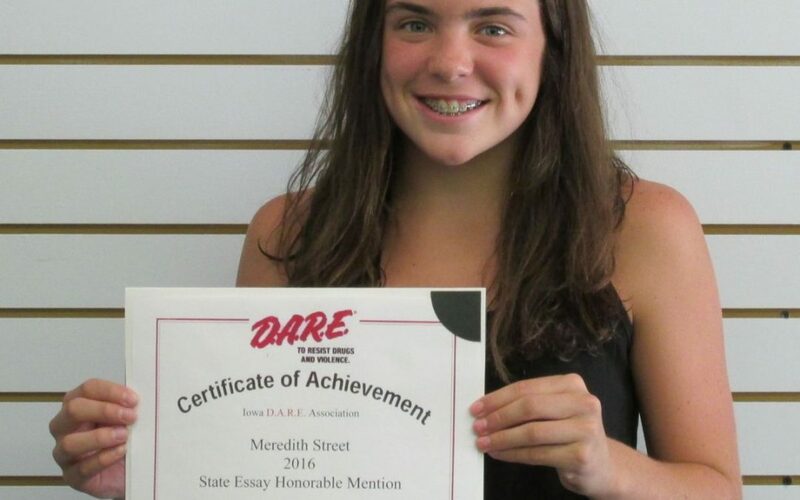 The sixth grade students at St. Mary’s School in Manchester recently graduated from the D.A.R.E. program. 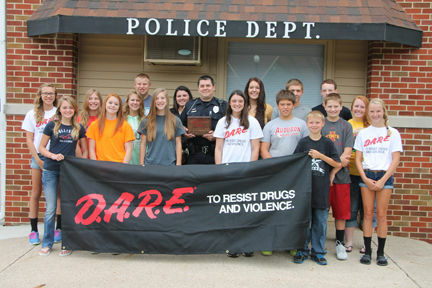 The Manchester Police Department has been presenting the D.A.R.E. program at St. Mary’s and West Delaware Middle School since 1993. 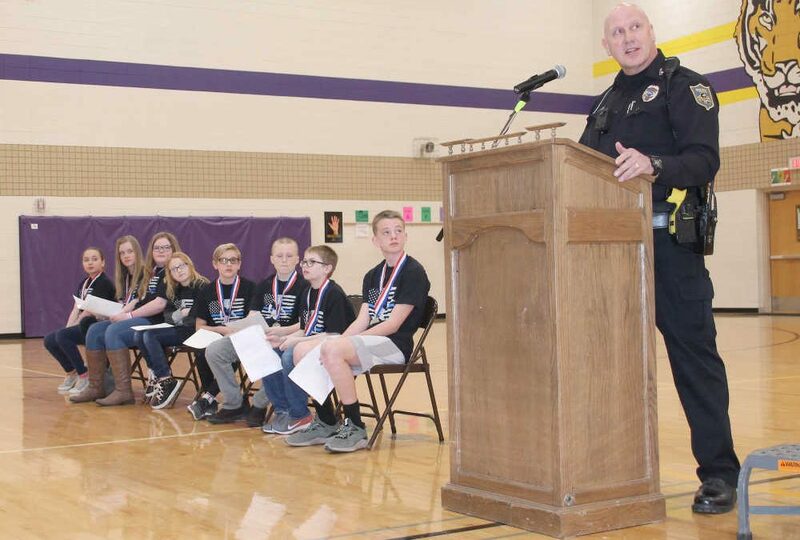 The program teaches kids how to say no to drugs and alcohol, and in recent years, they’ve added anti-bullying strategies to the curriculum.